The possibilities for integrating concepts related to transportation into the classroom setting are as endless as your imagination. Teachers can help students understand the importance of transportation in their lives while incorporating lessons on math, science, history, geography, social studies, and language/visual arts. 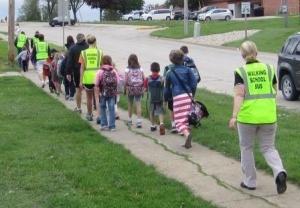 From auditing the walkability/bikeablity of your community to teaching about the history of transportation systems there are numerous activities and programs that can keep your students engaged and can help raise awareness about multiple issues. These issues might include but are not limited to safety, land use, energy, natural resources, health and wellness, ethics, civic engagement and economics. The menu on the right side of the page directs you to resources for educators interested in teaching about transportation.